The third trimester starts from 27 weeks. During this period, the baby is actively moving, kicking, belly can shift to the side. This continues until 32 weeks, when the fetus is quite large and so free as before to move can not, due to lack of space. In an average 28 week women gain about 9 kg, but is still quite active, and many even work. Gained weight and the baby in the womb have an adverse impact on the spine, many moms-to-be starts to ache. It is extremely hard for women asthenic Constitution, especially if they have twins. 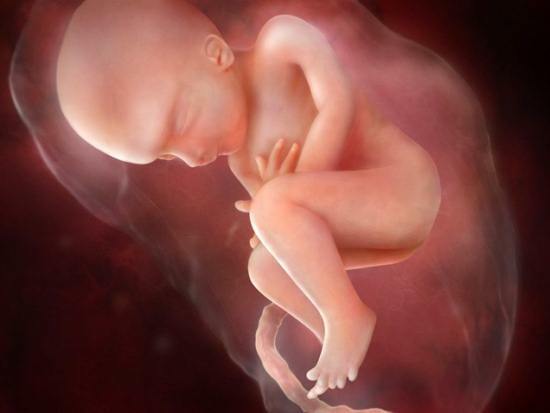 Many moms say that night the fetus behaves restless than during the day. This is justified by the fact that the day of the women’s movement lulled him, and he manages to sleep. Such movements of the baby are distinguishable on the video with 3D and 4D scans. On average, one baby kicks about 10 times in an hour. Rate fetus weight about kg, his length from head to tailbone twenty-five centimeters, and with feet approximately thirty-five. If you have twins, the differences in the weight of twins may be strikingly, the so-called «competition of fruits». Baby at 28 weeks already has a position. This is called «fetal presentation». It can be transverse, pelvic or head. Any provision in this period – the norm. Upset that the child is not in a position to not need it there is still enough time to roll over in the head previa. Pelvic or lateral position are not critical for the mother or fetus, but the likelihood is high that you may need a cesarean section. The brain of the fetus to this point are quite developed and begins the formation of convolutions. We can say that each fruit takes on individual traits. Formed sleep phase. In the dream, the child can move eyes under half-open eyelids. Eyelids to 28 weeks are already developed and active, there are eyelashes, they are the way they will be at the birth. Fetal movements are more chaotic, they are now partially controlled by brain impulses. At 28 weeks biometrics is required, is the decryption key performance indicators. The main indicators of the size of the fetus’s biparietal, fronto-occipital, head circumference, abdominal circumference. BDP at 28 weeks at a rate of from 60 to 79 mm, LZ from 84 to 99, the rate of head from 245 to 285, and belly in the circumference can be up to 285 mm. Normal length of bones as determined in this period. The shoulder of the baby is from 45 to 55 millimeters, the hip from 50 to 58 mm, the leg from 45 to 53, and forearm from 40 to 47. Despite the fact that in developed countries, 3D ultrasound has long been the norm, in Russia it is a relatively young method of study and many are quite expensive. To purchase this setting can not afford any private clinic, and about the state and say nothing. Even if you had conducted a 3D study, this does not exclude the usual 2D ultrasound. It’s about as informative and its name is of great value. READ After laparoscopy hospital: how long is the law? Have three-dimensional and four-dimensional research has a very specific clinical presentation, photos and videos are not evidence. But if you do decide on such a study, you should be aware of some nuances. Volume scan lasts up to three times longer than usual. To make such examination before 24 weeks is pointless, the fetus is still underdeveloped and nothing is clear. On the screen you can see the video with a delay of a few seconds. Be noticeable how the kid is smiling, covering her face or hiding. 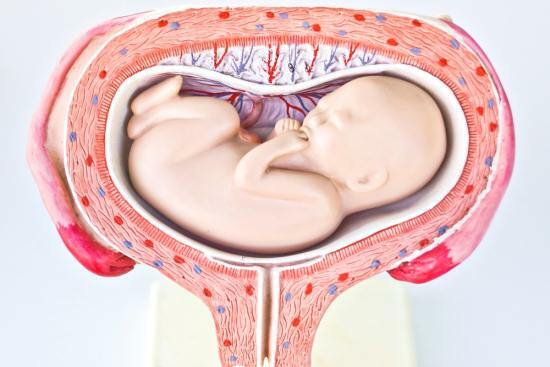 It is sometimes difficult to see the fetus because of its position in the womb of moms. From three-dimensional ultrasound has a significant advantage: it is clear to parents, relatives, and doctors, are far from sonologie. Receive images and video on the study, has a beneficial emotional effect on expectant mothers. They see that the baby is all right, the doctor can clearly explain any moments in photos and videos, to dispel doubts, to convince worried parents that the child is healthy and nothing threatens his life. This video can be viewed along with grandparents, because at the end of the word is given a DVD-ROM with the results. If during pregnancy the woman undergoes a 3D scan a few times, then from a serial video it is possible to make a film about the life of the baby in the womb!